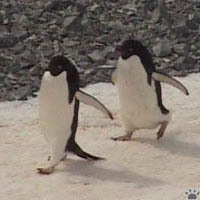 Adelie penguins, Pygoscelis adeliae, Hope Bay, Antarctic Peninsula. It's wonderful to observe penguins in places like Scotia Sea islands, where you can often see 3-4 species at the same site. 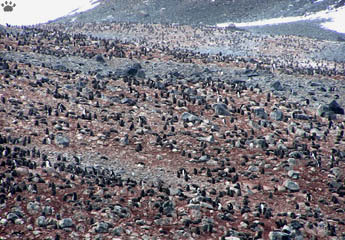 Sometimes the sea surface a far as you can see is covered with thousands of porpoising penguins. 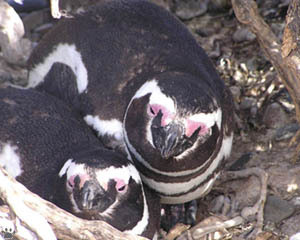 Penguin droppings are pinkish because of krill pigments. Hope Bay. 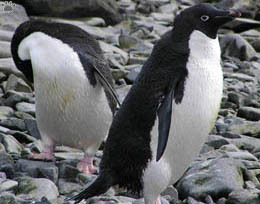 Adelie penguin is the most common species. 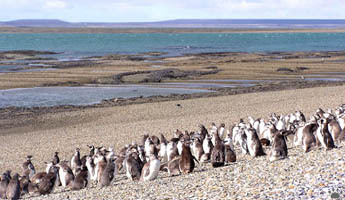 Large colonies are scattered at South Shetland, South Sandwich, and South Orkney Islands, but the largest one in the region (well over 100,000 pairs) is at Hope Bay at the tip of the Antarctic Peninsula. Most are on rocky flats and slopes overlooking sheltered bays. Unfortunately, such places are often chosen for research stations, and some colonies have already been destroyed completely or partially. 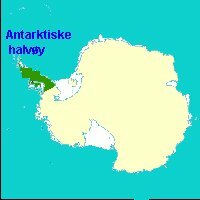 Adelie penguin mountaineering, Hope Bay. Some colonies are a mile or more from the shore. 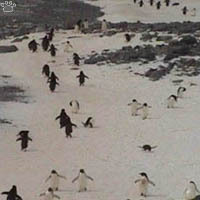 "Penguin highways" - well-used trails from the beach to the breeding grounds - are always fun to watch. On snow or ice, the birds often toboggan along, or use their beaks as icepicks. They feed in huge flocks close to shore, mostly at night. Krill is their main food. 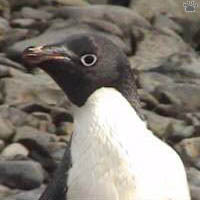 Unlike most other penguins, they don't come back to colony to molt, congregating instead on ice floes and small icebergs. 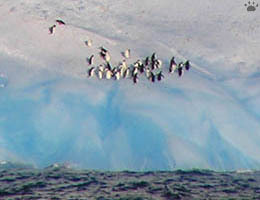 In winter, they migrate to the edge of pack ice. Adelie penguins with chicks, Hope Bay. 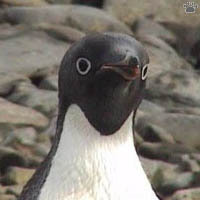 Adelie penguins' nests are tiny pebble-laid depressions. They lay two eggs. In late summer, you can often see pairs of chicks chasing their parents around, demanding to be fed. 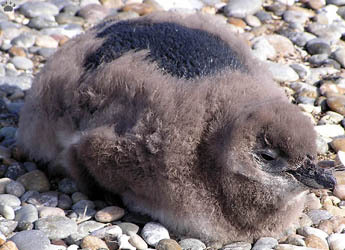 Like in most other penguin species, half-grown chicks form creches - densely packed aggregations, often enormous, where they huddle together for warmth. Their parents somehow find them among thousands of other chicks. 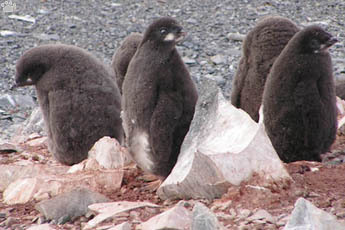 Adélie penguin chicks, Hope Bay. is the southernmost breeding area. 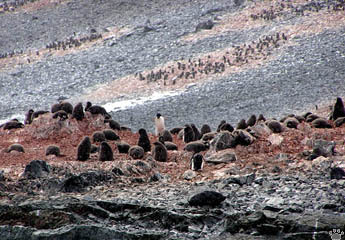 The bulk of chinstraps population (5 millions out of 6.5 worldwide) breeds on South Sandwich Islands. 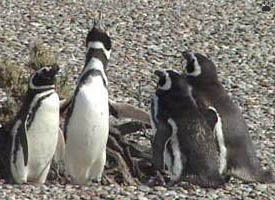 Gentoos occur on all Scotia Sea island groups, with around 100,000 on South Georgia, 70,000 on the Falklands, but only a hundred on Tierra del Fuego (on Isla de los Estados). All three species have similar habits. 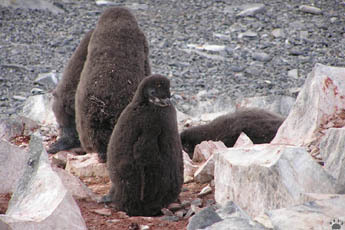 Gentoos tend to have smaller colonies, with large, widely spaced nests. Northern gentoos are a different subspecies: slightly larger and less migratory. They breed earlier and eat more fish. 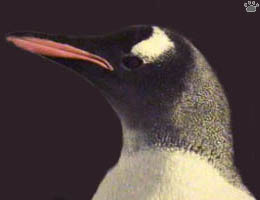 Chinstraps feed almost exclusively on krill. 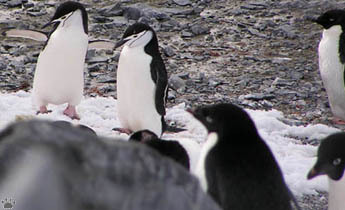 Chinstrap and Adelie penguins, All three Pygoscelis penguins sometimes form joint colonies, but don't mix completely, Hope Bay. 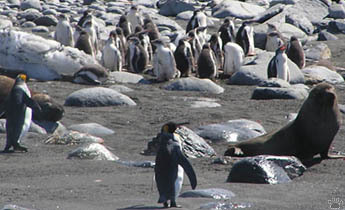 Gentoo penguin creche, with king penguins, southern elephant and Antarctic fur seals. All three species can be seen on icebergs, but Adelies use them way more often. 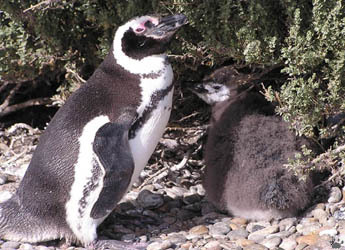 Pygoscelis penguins are very tame, especially chicks: often they would accept you into a creche if you slowly crawl inside. Being hugged by dozens of warm, fluffy chicks is a great experience. 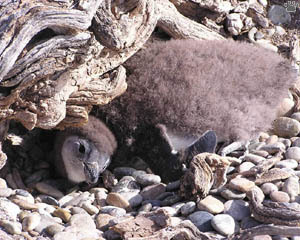 Unlike all other breeding species of the Scotia Sea, Magellanic penguins nest in burrows. in mainland South America, but there are also 100,000 pairs on the Falkland, and over 600,000 at Tierra del Fuego. They seldom get far from shore, moving north up to Brazil in winter. 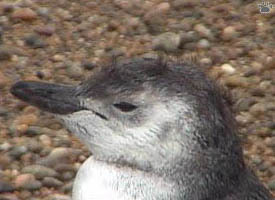 However, vagrant individuals have been recorded as far as New Zealand and Australia. 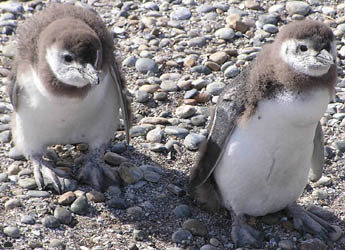 Molting Magellanpenguin chicks, San Julian. 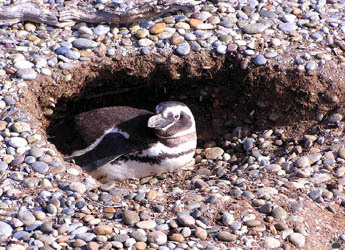 Magellan penguin with chick in a nesting niche. 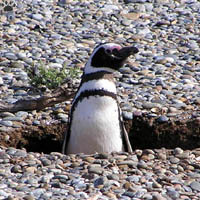 Magellanic penguins are fiercely territorial at nests, but often engage in cooperative feeding at sea. Their main food is small pelagic fish, sometimes squid. Their numbers are slowly decreasing, particularly in Argentina. 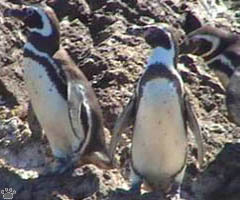 Magellanic penguins in having one dark breast band, not two. South America's western coast. 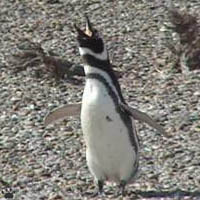 Pinguineria Punihuil, Chile.